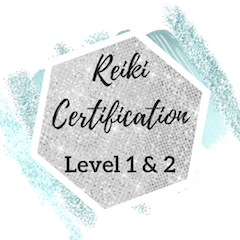 In this two-day session, you will receive your Level 1 and 2 reiki attunements, and receive the knowledge and skills to offer reiki to yourself and others. Reiki stimulates a person's own natural healing abilities, and is an excellent compliment to traditional medical therapies. It's a non-invasive form of energy healing that promotes relaxation and balance in mind, body, and spirit. This course is ideal for anyone interested in energy healing as well as wellness professionals, healthcare practitioners, yoga and fitness professionals, and energy workers. Graduates of this course are eligible for professional registration with the International Association of Reiki Practitioners (IARP), and liability insurance through the IARP.